A Karate Kid Spinoff for YouTube Premium. In the Fall of 2017, YouTube secured the rights to create and distribute a continuation series of the 1984 film The Karate Kid, starring members of the original cast, Ralph Macchio and William Zabka. With over 1M mentions on social media between October 2016 and October 2017 alone, The Karate Kid remains an iconic film and a relevant fixture of cultural discussion, even 34 years after its release. Given the proliferation of nostalgia for fan favorites from the 1980s and ‘90s (Star Trek, Full House, Will & Grace), this was an opportunity to develop a hit for YouTube Premium and to cement YouTube’s paid subscription service as a major player in the original content space. Integral to Cobra Kai’s success would be a bold social marketing campaign to garner widespread appeal, beyond the existing dedicated fans of the original Karate Kid films. 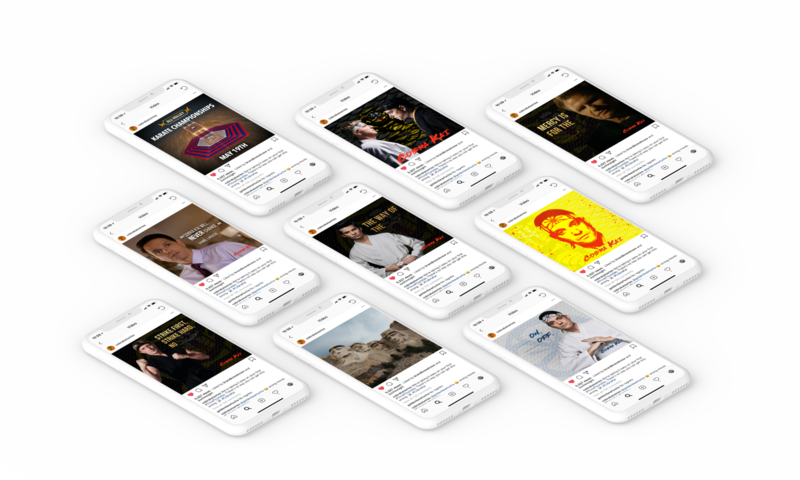 YouTube engaged Brand Knew to craft the creative strategy that would ultimately make Cobra Kai one of the best performing streaming series ever, and the most successful YouTube Original show across social. 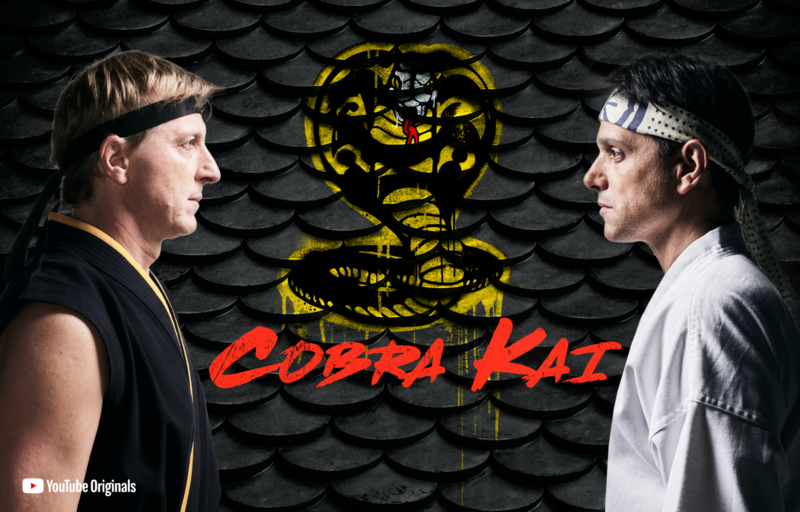 Crafting a compelling social media campaign for Cobra Kai required overcoming several challenges. First and foremost, Brand Knew developed a case to support the creation of new, individual @CobraKaiSeries handles from which to promote Cobra Kai, rather than simply leveraging the existing @YouTube handles that have massive built-in reach (168M followers across Facebook, Instagram, and Twitter). Next, Brand Knew offered strategy to appeal to two entirely different generations of viewers, with a relatively unknown cast of younger talent and insignificant social reach from the series leads. And finally, Brand Knew presented plans to achieve a breakthrough launch that would lead to sustained audience interest, after a series of mediocre Karate Kid remakes that generated widespread skepticism amongst fans. Underdogs get old. Their stories never do. The greatest challenge in crafting the Cobra Kai social strategy was development of a creative wrapper for our campaign that was compelling to each of the disparate target audiences of the show. After careful dissection of affinity data for Karate Kid superfans, YouTube followers interested in ‘karate’ and ’martial arts,’ and mainstream pop culture fanatics, the common thread between each segment was mutual appreciation for empowering underdog narratives. With an overall creative direction to champion the underdog narrative in Cobra Kai, content straddled three themed buckets of nostalgia, world-building, and relevance to the general zeitgeist, each tailored specifically to effectively reach one of our core audiences. Prior to launch week, 9 weeks after launching brand new social handles for Cobra Kai, the @cobrakaiseries social handles had cultivated a community of 107K followers and millions of raw engagements across social. 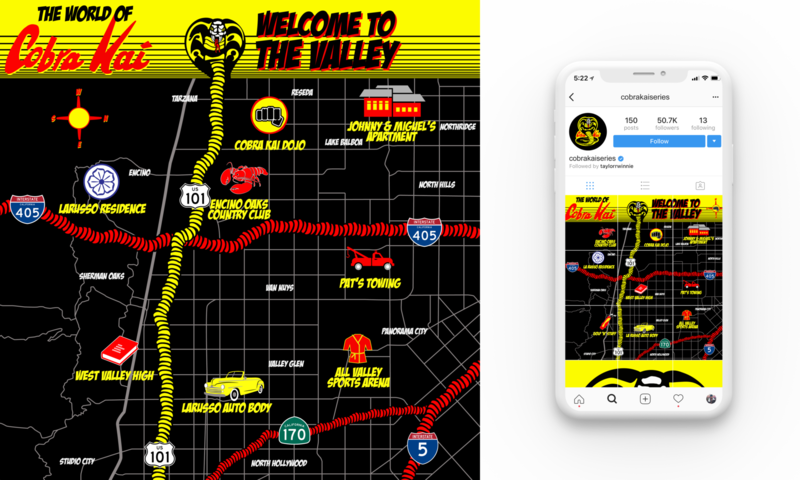 To further capitalize upon the momentum generated by successful social content and influential advocates, we rolled out several key marketing activation stunts that contributed to making the Cobra Kai launch an unmissable moment on social media. 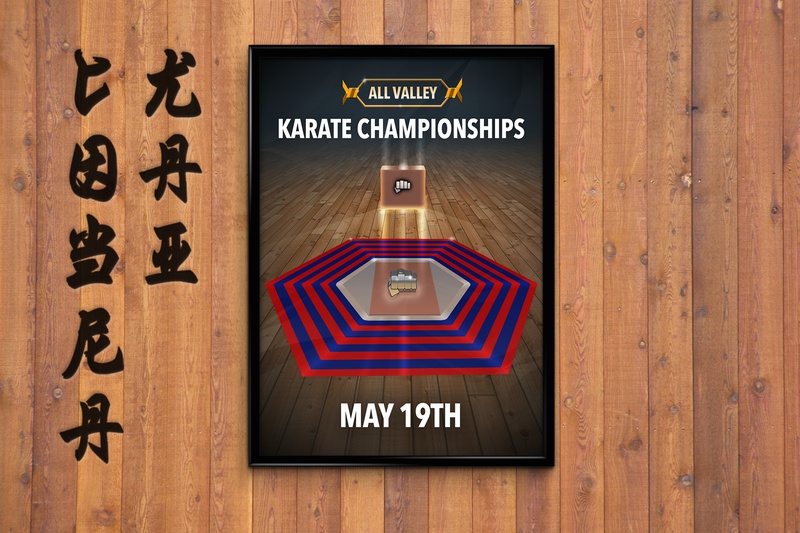 These included a partnership with ThinkModo to create a viral karate prank video that earned 14M views, ideation of karate-themed adjustments to the YouTube interface, which earned laudable campaign coverage from AdWeek, and a 9-Tile map of the San Fernando Valley containing video carousels teasing scenes from the series that spurred the largest 24-hour follower growth on Instagram to date. On launch day, Cobra Kai was the #3 ranked OTT show on Twitter behind 13 Reasons Why and Handmaid’s Tale. In 24 hours, the first episode was the #1 trending video on YouTube, with 5.4M million views, and the @CobraKaiSeries social accounts had earned on average more interactions per post than Westworld and Handmaid’s Tale. Cobra Kai developed an unparalleled YTO fan community. With 352K total followers and an average increase of 16K new followers per week, the @CobraKaiSeries accounts have cultivated the largest fan community of any YTO show on YouTube Red. The Cobra Kai social marketing campaign earned strong results as compared to industry competitors. Cobra Kai has had over 205K unique social authors and over 8K interactions. The @CobraKaiSeries social accounts continue to outpace Rick and Morty in unique authors, and earn more interactions per post than the social accounts for Westworld and Handmaid’s Tale. Cobra Kai set a new bar for what success of a YTO social marketing campaign looks like. With 301% more life of show impressions and 289% more life of show mentions, Cobra Kai has drastically outperformed YouTube’s previous top-performing YTO show, Step Up: High Water.